With heavy hearts, we announce the passing of American Geographical Society (AGS) Honorary Fellow and Geographical Review Author, Dr. Marvin W. Mikesell who died unexpectedly Wednesday morning, April 26th, 2017 at the University of Chicago Hospital in Hyde Park, Chicago, aged 88. Dr. Miksell was a Professor of Geography in the Committee on Geographical Studies at the University of Chicago. 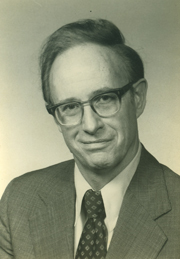 Marvin Mikesell was a long-time AGS member, served on the Advisory Committee on the Geographical Review in 1974, and over the course of his career contributed over 30 articles, notes, and reviews to the pages of the Geographical Review. He also received Honorary Fellowship of the AGS for “Sensitive articulation of both science and humanism in cultural geography.” In addition, Mikesell served as President of the Association of American Geographers (1975–76). Marvin Wray Mikesell was born on June 16, 1929, in Kansas City, Missouri. He attended high school in Los Angeles and received his B.A. (1952) and M.A. (1953) from UCLA. He earned his doctorate at the University of California–Berkeley in 1959 under the tutelage of the celebrated cultural geographer Carl Sauer. He joined the Department of Geography at the University of Chicago in 1958 and spent his entire 59-year teaching career, from instructor to professor, at the University. Mikesell’s interests in research and teaching ranged over the whole orbit of global cultural geography, his special concerns included: the ethnic and environmental diversity of North Africa and the Middle East, the basis of ethnic conflict and self-determination worldwide, and the ominous trends in regional environmental degradation. He placed great emphasis on fieldwork in research. His books include Northern Morocco: A Cultural Geography (1961); Geographers Abroad: Essays on the Problems and Prospects of Research in Foreign Areas (1973); Perspectives on Environment (1974), and, most notably, Readings in Cultural Geography (published by the University of Chicago Press, 1962). This last volume brought together classic articles written by authorities around the world, many translated from their original language; the book quickly became a standard work that shaped the international field of cultural geography for more than a generation. 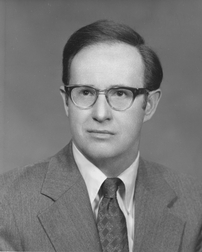 At the University, Mikesell was chairperson of the Department of Geography (1969–74, 1984–86), and Master of the Social Sciences Collegiate Division (1981–84), among many administrative responsibilities. Nationally he was a member of the U.S. National Commission for UNESCO (1973–78), and an advisor to the National Science Foundation (1977–79). He is survived by his wife Reine M. Mikesell. A memorial service for Marvin Mikesell is to be arranged for early this coming fall. Photo credit: University of Chicago Photographic Archive, [apf7-00795], Special Collections Research Center, University of Chicago Library.